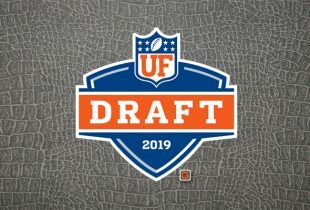 The Florida Gators kicked off 2019 National Signing Day with a bang as one of the first surprises of the day came shortly after 8 a.m. ET when four-star defensive end Khris Bogle (Fort Lauderdale, FL) formally flipped from Alabama to Florida. Though Bogle had been wavering in his commitment for quite some time, he held the decision close to the vest until releasing it early Wednesday. Bogle (6-foot-4, 212 pounds) committed to the Gators not only over the Crimson Tide but also Miami. He originally pledged to Alabama back on Jan. 5 but took official visits to UF and UM over the last couple of weeks, and it quickly became apparent that he was swaying in his decision. The addition of Bogle, ranked 71st overall nationally in the 247Sports Composite, moves Florida — at least temporarily — up one spot into the top 10 of the 2019 class rankings. 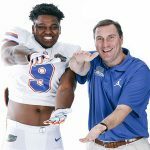 He is now the second-highest rated player committed to the Gators and will likely retain that title through the end of the day. 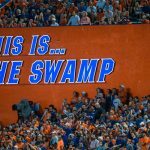 Follow live coverage of National Signing Day here on OnlyGators.com and stick with us for a full recap from head coach Dan Mullen at the end of the day.